It’s tough for a family of five to go out to eat. However, we try to go out to eat on Friday nights when we can. We look for a place that will be kid-friendly, economical and will satisfy our needs. I want good food, good service and good atmosphere and if I don’t get one or perhaps all of those things, chances are I’ll go somewhere else. I go to a restaurant because it’s easier than trying to cook at home. I want someone else to do the work while I enjoy the experience. This same mindset often finds its way in to the thoughts of well-meaning Christians. We live in a culture that is all about consumption. We live to consume. And if we are not careful, we will live to consume church experiences. This is evident even in the way we speak: “We’re going to another church because that one did not meet our needs.” “We left because we didn’t like the way the pastor preached.” “We don’t particularly enjoy the music.” “Our kids don’t like it.” For this reason, our country is full of church hoppers: people who bounce from one church experience to another looking for how they can best be served. 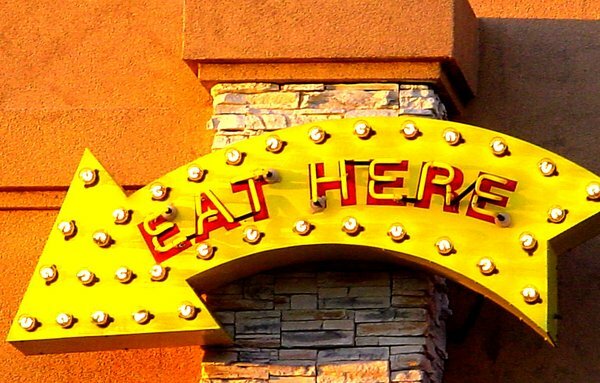 Consuming may work when we go out to dinner at a restaurant but it creates a mess when we apply it to our church involvement. Time and time again in the New Testament we find that churches are not designed to be consumed from but contributed to. If you find yourself complaining about your local church, chances are you are doing a lot of consuming. – If you consume only, you will get fat. Imagine eating at your favorite fast food restaurant every day for six months. You will gain a ton of weight and be very unhealthy. The same is true in church consumption. If all you do is consume, you will become spiritually fat and unhealthy because you have no outlet for what you are consuming. However, if you stay home and prep and cook your own food (contribute), you use energy and creativity to make good food. Many of us are much more aware of what we eat when we are the ones preparing it and cooking it. When we contribute to the church, we have a chance to apply what we have learned and use our energy in a positive direction. – If you consume only, you will complain…a lot. My hat goes off to people in the hospitality industry. In the span of about 5 minutes, it becomes obvious that waiters and waitresses are not celebrated and honored. If the food is not prepared correctly, we complain. If the glass is empty, we complain. If our table is dirty, we complain. If we don’t like the food, we complain. We are there to consume. If you find yourself complaining about your local church, chances are you are doing a lot of consuming. However, if you contribute to something you are much less likely to complain about it. See, when we contribute to an idea or an event or a cause, we invest ourselves personally in it. When we are personally invested we are much less likely to complain when it doesn’t make us happy. – If you consume only, you will eventually move on. When you are done with dinner, you pay the bill and leave. You don’t stick around to help wash the dishes or clear the table. You pay little attention to how the restaurant will do once you leave. In churches, consumers will not stay for very long. They will consume whatever is available for the time and then move on to something bigger and better. If you contribute, you want to stick around. You want to see how things are progressing with the organization. You are invested in the future of the cause and you want to see it succeed. Now, imagine what it would have looked like if Peter was a consumer of 2014 church experiences. When we consume at churches, it’s like telling Jesus to keep on serving us. “Jesus, keep my tea glass full.” “Jesus, clean off this table.” “Jesus, make sure my food is right.” “Jesus, my church should meet my needs.” Consume when you go to out to dinner but be ready to contribute when you partner with a local church! Don’t confuse the two.